Turn left at 21692 Eighth Street East. Drive through the warehouse complex, following signs for Tin Barn Vineyards. We are all the way in the back of the warehouse, where the vineyard meets the airport. 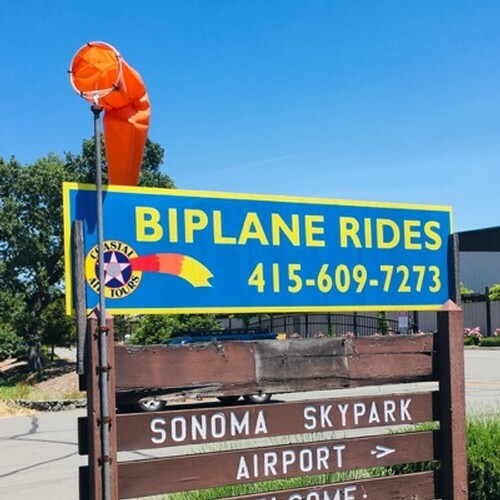 Turn in where you see the Biplane rides sign and wind sock.